In the race to get to that first ripe tomato of the gardening season, it's easy to put all of your eggs in the "early season tomato" basket. But ensuring that you have a few late-season varieties in your garden means that not only will you have something different to look forward to later in the season, but that you can keep your garden productive, longer. Late season varieties are those that produce a harvest 80 to 100 days after planting. They provide a nice bit of overlap with your main season tomatoes and fill the void left when your determinate early season tomatoes stop producing. 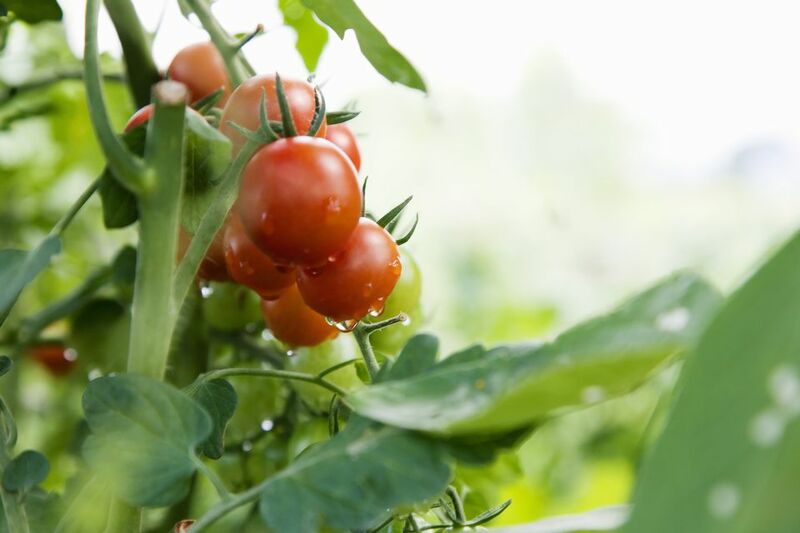 Late season varieties are planted at the beginning of the gardening season, right along with your main season tomatoes. They need plenty of time to mature. The large, one-pound deep orange tomatoes ripen about 85 days after planting. The flavor or this American heirloom is full, intense, and perfectly tomatoey. These look beautiful sliced up in a salad and are delicious on sandwiches. The granddaddy of all heirlooms -- Brandywine is usually to blame for getting into growing heirlooms. The pink flesh and skin of Brandywine have great flavor, and the sprawling, indeterminate plants produce reliably from late summer until the first frost. The fruits are large, often up to a pound or more. These indeterminate tomatoes ripen about 90 days after planting. They are quite large -- one to two pounds, with pink flesh and skin. Bull's Heart is an oxheart-shaped Russian variety. If you're a fan of more flesh and fewer seeds in your tomatoes, this would be a good one to try! These beautiful tomatoes are red, but turn purplish-brown at the shoulders when ripe. The flavor is complex, slightly smoky -- perfect eaten as-is or sliced into a salad. Some years, this seems to produce earlier than others, but it traditionally produces very well from late July through to frost. This variety is another gorgeous stripey tomato. The yellow and red streaks are quite striking, and the fruits are huge -- often two pounds and sometimes even larger than that. 'Hillbilly' is another American heirloom, hailing from West Virginia. Indeterminate, harvest about 85 days after planting. If you are a fan of yellow tomatoes, you really should give Hugh's a try. These beefsteak tomatoes have great, robust tomato flavor. The skin is tender and delicate, which is why you'll never find this variety in the grocery store. Hugh's produces a harvest about 85 days after planting. It is indeterminate. If you're looking for something a bit different, you must try Japanese Black Trifele. Mahogany-shouldered fruits with a complex, smoky flavor on a fairly well-behaved plant -- what's not to love? You can even grow this one in containers if you are short on space, though they do better if you can give them a bit of staking. Mortgage Lifter was so named because the man who developed this variety sold them, and, the story goes, was able to pay off his mortgage from selling his huge tomatoes. Whether that's true or not, this is definitely a variety you'll want to try in your garden. Perfect tomato flavor, large fruits, and a great story to go along with them. Indeterminate. Yes, it's another pink tomato, but this is such a reliable producer that it's a great addition to your late season tomato selections. The one-pound fruits are nearly seedless, with lots of delicious tomato flavor. Harvest approximately 80 days after planting. Indeterminate.